Enjoy singing (either in the shower or belting it out in public)? Do you make up rhythms, tunes or lyrics yourself? Have an interest in music? Then Song Studio is for YOU. 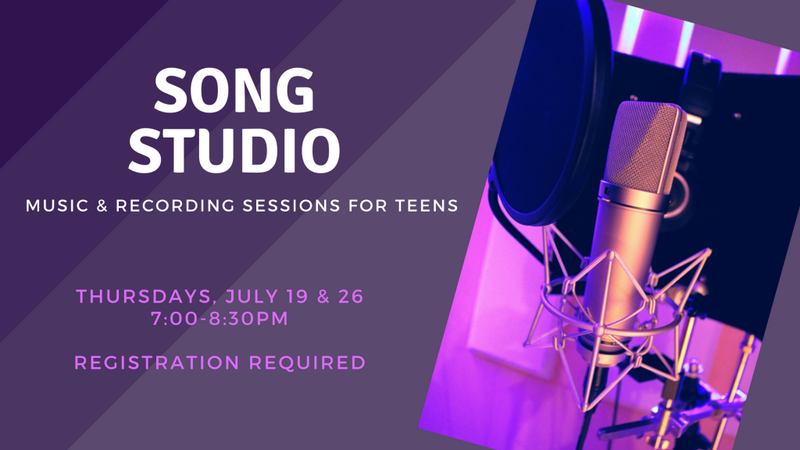 The Reading Public Library is teaming up with the pros over at Alpha Omega Music Studios to offer a two-part course in songwriting and recording! No experience necessary. For teens entering grades 6-12. Registration required; limited spaces with preference given to Reading residents. To learn more, visit readingpl.org or call 781-944-0840.